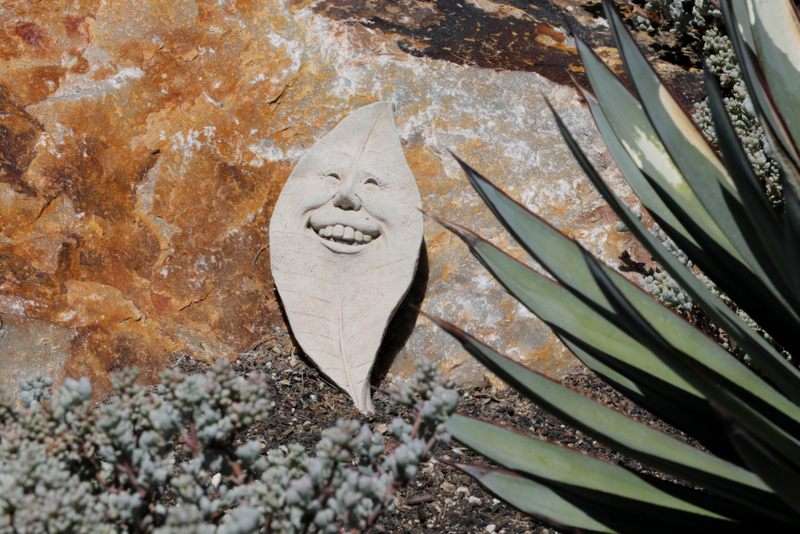 San Marcos, Calif. – A beautiful native garden low on water use but not on style won first place in the Vallecitos Water District’s 2018 “WaterSmart Landscape Contest. 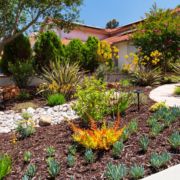 To encourage customers to reduce outdoor water use, Vallecitos recognizes customers whose yards best exhibit the beauty of California-friendly, low-water gardening. 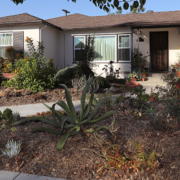 The Vallecitos Board of Directors honored the 2018 winners of the annual WaterSmart Landscape Contest at its August board meeting. 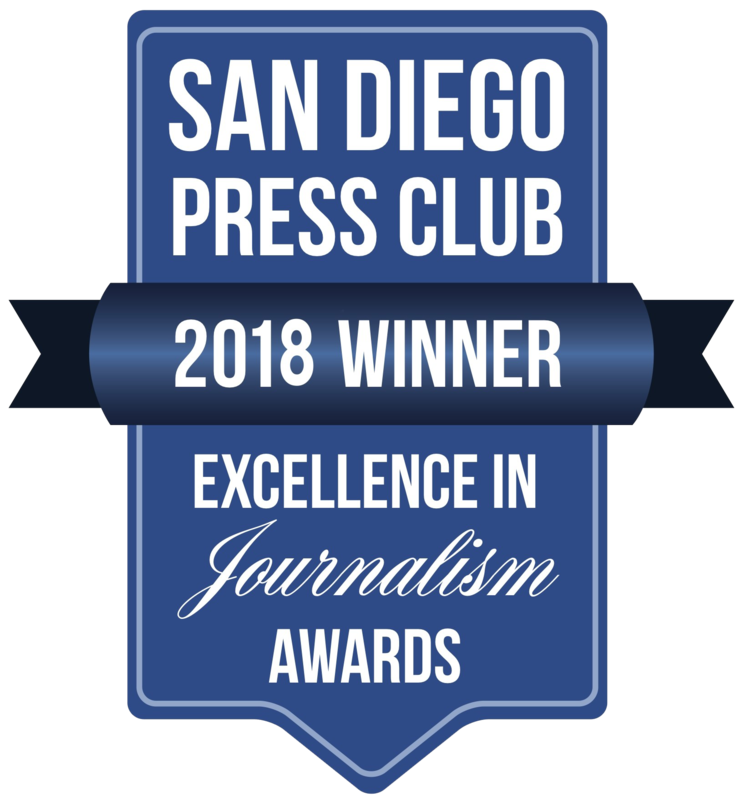 View a video tour and interviews with the winners here. 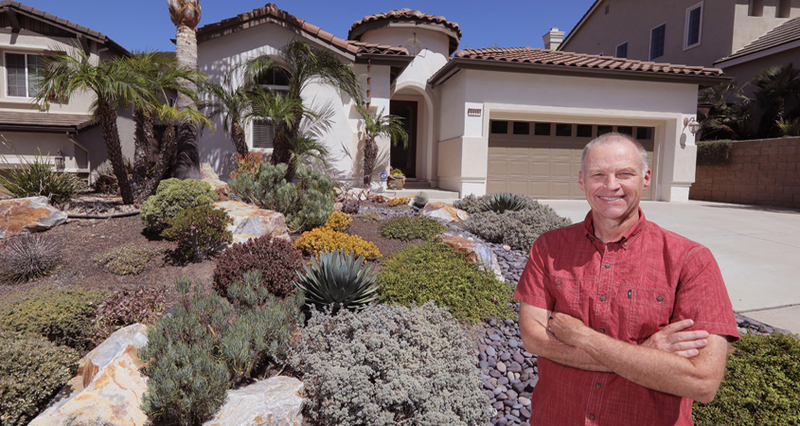 First place winner Rhonda Holmes said the landscape transformation at her Lake San Marcos-area home took place after purchasing the house and undertaking a complete remodel, which included replacing the front and back yard turf areas with water-efficient plants. Holmes also installed a beautiful and environmentally conscious bioswale to reduce pollution to nearby Lake San Marcos. It prevents water from being emptied into the storm drain system. 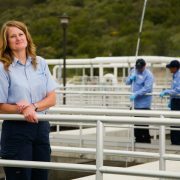 “I think what people don’t realize is all the pesticides and fertilizers and chemicals we use on our plants, if we don’t do something like a biofiltration system with those chemicals, then end up leaching out into the streets, into the gutters and into the golf course here, and for example in Lake San Marcos,” said Holmes. Holmes says in addition to water conservation, she is able to avoid pest control with chemicals, because native plants are more disease resistant. All three winners experienced an unexpected benefit: an influx of wildlife into their yards including birds, bees and butterflies, and small reptiles. There is even a neighborhood peacock that visits the Root household. 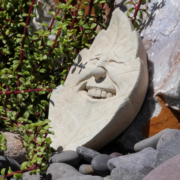 Shannon Root says she attended a landscaping seminar held at the Vallecitos Water District. 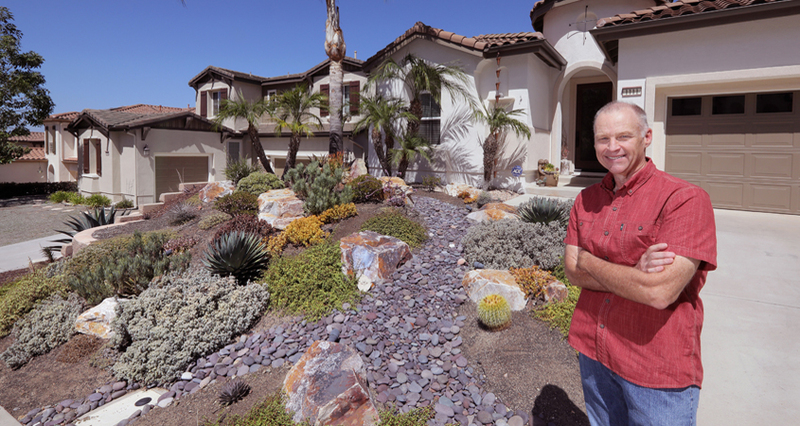 Third place winner Jeffrey Moore attended the San Diego County Water Authority’s Landscaping Makeover series of classes. Both called them informative and extremely helpful. 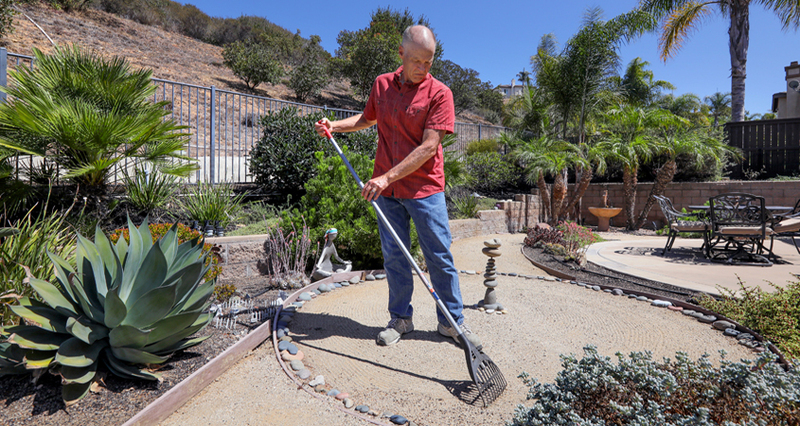 The next series of Landscaping Makeover classes are scheduled in October. Interested residents can register on the program’s website.